Breaking into the world of radio is no easy feat. You have to be funny, whip smart and possess the ability to think on your feet. You also have to be likeable, seriously likeable. So it’s pretty fortunate that triple j brekky presenter Ben Harvey, is all of the above and then some. 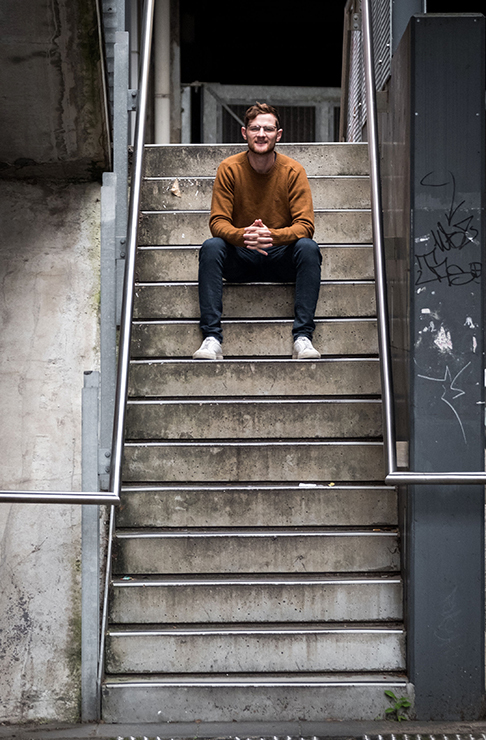 At just 24, Ben has landed himself one of the most coveted gigs in Australian radio. While there’s no doubt radio is no easy ride, Ben, and his co-host Liam Stapleton, make hard work look pretty damn fun. 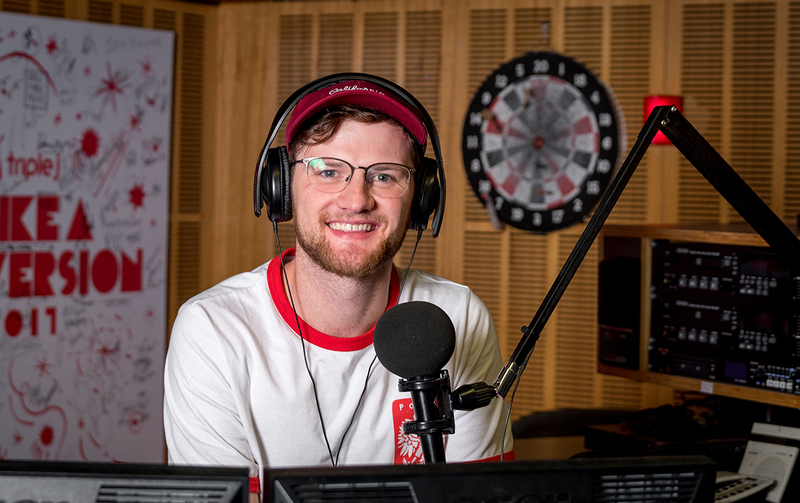 From pranking their boss by waking him up at 4am with bag pipes to interviewing celebs like Dean Lewis, Lorde and Khalid, we’re just a little bit jealous of Ben. We caught up with the Sydney-based radio star to chat dairy farms, John Cena and the one thing you should really do if you want to score a gig on the airwaves. Growing up, did you always want to be in radio or did you have other ideas? Not really, I never really knew what I wanted I to do. When I was in year 8 or 9 I remember liking the idea of being a pilot but that never really took off. Sorry about the pun, I’ll refrain from doing that for the rest of this. Did you do any tertiary education? Honestly, I would be lying if I said I knew what tertiary education even was. I left school when I was 15. I felt like I wasn’t getting much out of school so my Dad said I could leave, but only if I got a full time job. That’s when I started working on a dairy farm. What was your first radio gig and how did you get your foot in the door? Volunteering at my local community radio station Fresh 92.7. Community radio is honestly the best way to get into the radio industry. I had no technical qualifications, but I did have lots of hands on experience from volunteering. For loads of journos, triple j is the ultimate radio gig, how did you get them to notice you? 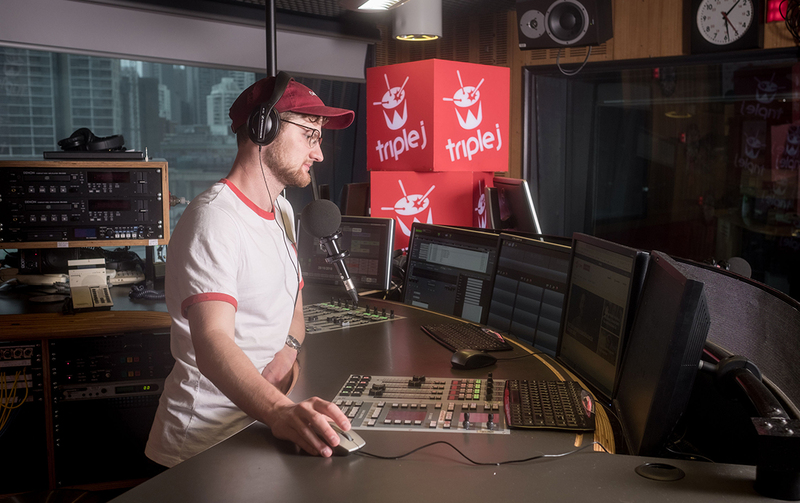 When we (Ben’s radio co-host Liam Stapleton) heard the breakfast time slot was available we relentlessly sent demos to the triple j boss, until we eventually won him over and got the job. You went from community radio to a government-funded network, what did you find to be the biggest differences? Working with a bigger team. In community radio we did everything from being on air, producing, filming and editing through to answering phones at the front desk and handing out promotional hats to whoever would take them. Now we have the luxury of having someone else hand out the hats for us. What’s been one of your best career highlights? Getting the gig at triple j, that was a very surreal moment. Sometimes you shoot for the stars and then when you reach them you don’t quite believe it’s real. What is one of the biggest hurdles you’ve have to overcome in your career? Probably putting my life on display for everyone to see. I’ve always been a very introverted person and still am, yet I choose to live my life on the radio. What do you find are the most common misconceptions about radio? That you just make it all up as you go. Some ideas are definitely spontaneous and organic, while others have hours of planning behind them. What’s the best advice you’ve ever received and from whom? Tony Martin told me “Laziness is like a drug” which I find so true. It’s natural to want to take the path of least resistance but that doesn’t always mean it’s the right path to take. What’s been one of your most memorable interviews? John Cena. I grew up watching WWE and when he came in I was genuinely star stuck. What’s your advice to youngsters who want to get into radio? Volunteer as much as you can. That’s your ticket in to radio. Also, be persistent, you’ll get a lot of no’s and dead ends but it’s those who persevere that end up making it. Or if that sounds too hard, go a reality TV show, that also works. 5am: Get to work and make an instant coffee. Then switch on my computer and catch up on what’s happened overnight, looking for something that might be interesting to talk about. 6am-9am: On-air. Each show is different but most of the time I’m either doing an interview or mucking around on and off air with Liam my mate/co-host. 11am: Sit down with the team to prepare for tomorrow’s show and plan out any longer lead content like interviews and silly video ideas. 3pm: Get home and have a half an hour power nap, which is essential when you work on a Brekkie show! 8:30pm: Eat dinner, set alarms for 4am, 4:05am, 4:10am, 4:15am and go to bed.